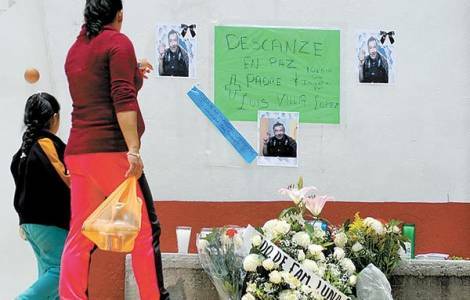 Nezahualcóyotl (Agenzia Fides) - "With great pain and dismay we inform of the death of our diocesan priest Luis Lopez Villa, 71, who on July 5 was killed by criminals who managed to break into San Isidro Labrador Parish, in the municipality de Los Reyes", said the communiqué of the Mexican diocese of Nezahualcóyotl, announcing the violent death of the third priest in Mexico in this year 2017. "The priest, Luis Lopez Villa, was born on January 20, 1946 in Santiaguillo (Michoacan). He was ordained a priest in Amecameca, Mexico, on July 18, 1985. Everyone, priests and lay faithful in the diocese of Nezahualcoyotl, are shocked and saddened by this news", continues the statement sent to Fides. "Let us pray for our authorities and let us have trust in them, so that they are able to clarify this crime, let us pray for peace and justice in our communities", concludes the text.